Between the signature of the financing and the start of works of Posnania, located in Poznan in Poland, the start of works of Muse in Metz and the opening of Parc Saint Paul near Valence in October; 2014 was a busy year for Apsys! Mapic gives Apsys the opportunity to present its next innovative projects as well as its major events for 2015 on its stand P-1/G50. Located in the heart of the 19th district of Paris, in the unique setting of the Cité des Sciences et de l’Industrie, Vill’up, a brand new concept, will combine thrills (Pathé cinema, freefall simulator iFLY, Yoo Moov…), trendy shopping and pleasures of bistronomy. Vill’up reinforces the influence of Villette Park which already hosts more than 8 million visitors per year. Last July, Apsys Polska officially launched the construction of its new Posnania project in Poznań. 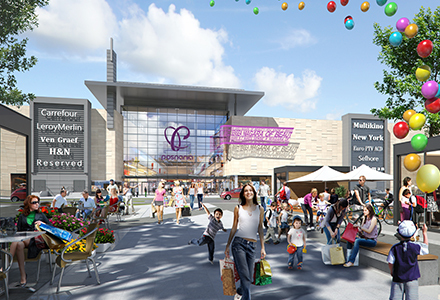 This extraordinary site will have a surface area of 100,000 sqm GLA and will be the largest shopping center in the province of Wielkopolska and the third one in Poland. The architecture of the site highlights the quality of the project with a spectacular glazed facade, spacious interiors, and double high shop fronts of 8 meters high, which are so far unique in Poland. The commercialization rate of 80% at this stage, also attests the relevance of the project. Thus, the site will host powerful locomotives such as Carrefour, Leroy Merlin, or Multikino (cinema). APSYS again demonstrated its multifunctional and ambitious vision of the city with the launch of Muse’ construction on October 1st. Facing the Centre Pompidou-Metz, this 80,000 sqm mixed operation is one of the largest in France in a single phase. The project combines in an optimal mix, commercial space (37,000 sqm GLA), housing and offices. 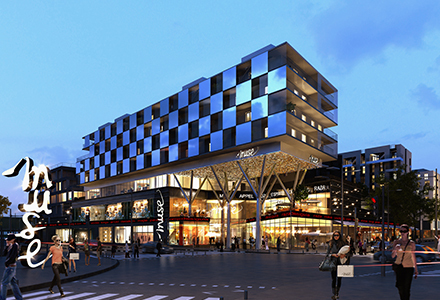 Muse will be the cornerstone piece of the new Quartier de l’Amphitheatre, offering a creative and inspiring place for a unique shopping experience from 2017 onwards. Muse shopping center will offer a unique mix of 111 stores (three quarters of them are brand-new in Metz!) 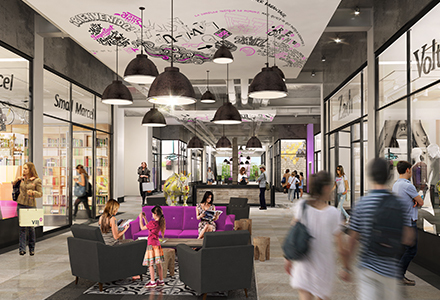 in food, design, fashion, and convenience sectors, among which: Primark (5,800 sqm) and a Carrefour Market (5,700 sqm) which will open its first location in Metz, a selection of cutting-edge brands and an attractive restaurants pole. Parc Saint Paul which opened its doors Wednesday, October 8th, 2014 and has a great success with visitors and retailers since its opening. After only three weeks, 100,000 visitors already came to discover this new concept of retail park! If the 27 shops of Parc Saint Paul conquered visitors, the sheltered pedestrian path, the water garden and its fountains games, as well as the ubiquitous vegetation offered them a unique experience. 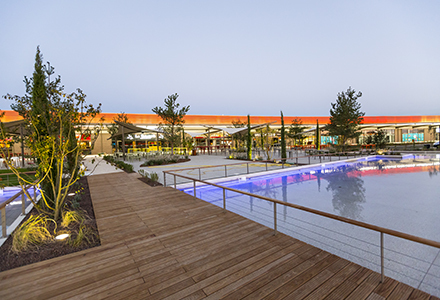 Architectural ambition, concern for the customer experience, attention to detail, sustainable approach and attractive commercial offer… All the ingredients are reunited to make Parc Saint Paul a new place of life in the region!